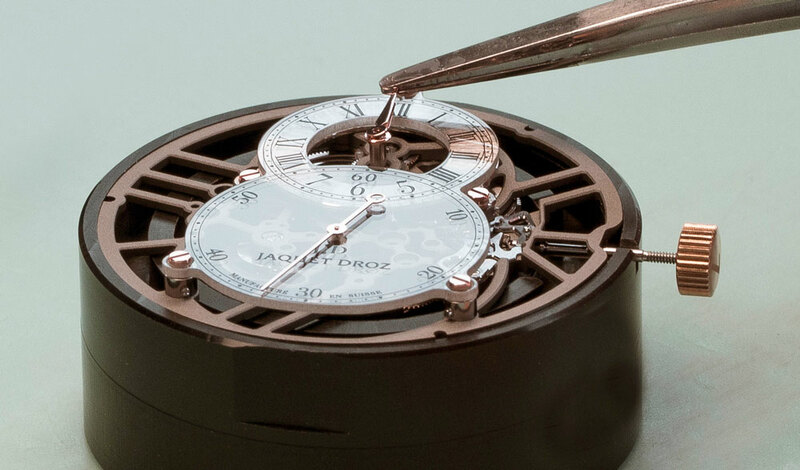 For the first time Jaquet Droz reveals the mechanical heart of the Grande Seconde. Staying true in all aspects to the original inspiration of the Grande Seconde, this new interpretation in total transparency only shows the bridges in a beautiful gray colour that structures the piece’s movement. 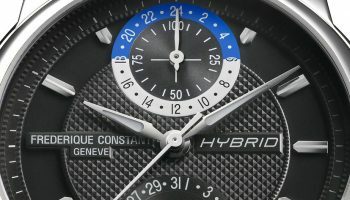 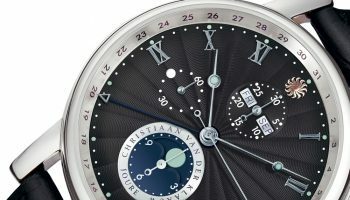 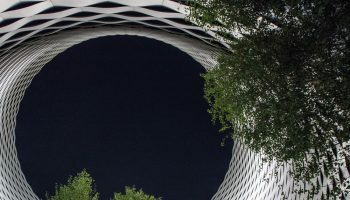 A first for Jaquet Droz! 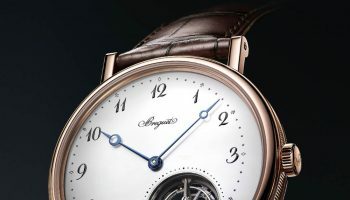 At 12 o’clock, the hours and minutes turn around a sapphire hour ring, set on a base of gold. 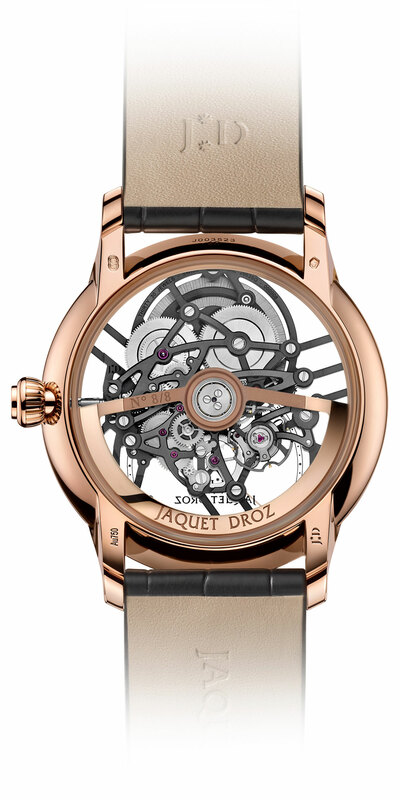 The oscillating weight in gold has also been openworked to let light diffuse freely into the heart of the movement. 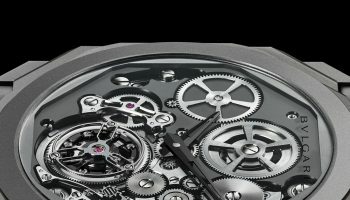 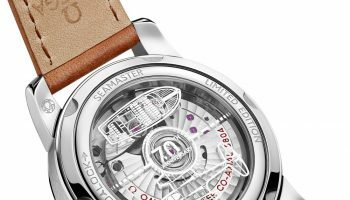 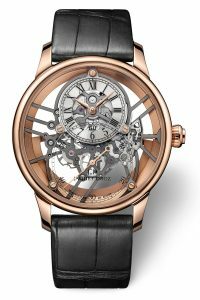 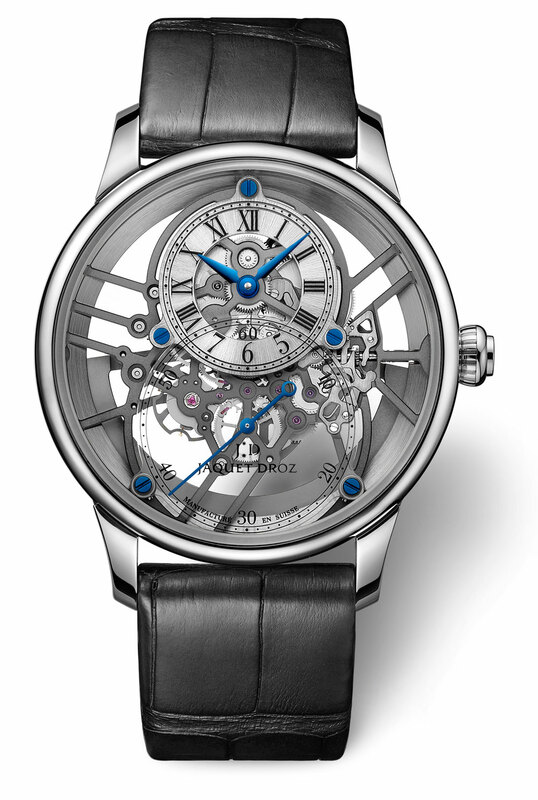 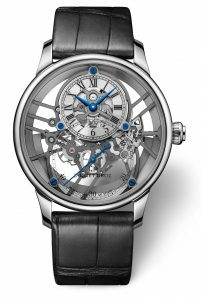 The Grande Seconde Skelet-One, equipped with a silicon double barrel, balance spring and pallet lugs, features a hand-assembled Caliber 2663 SQ. 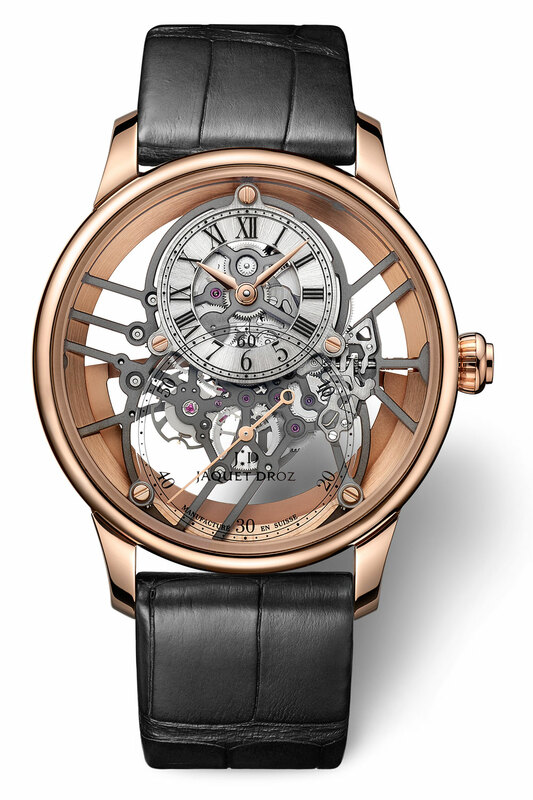 The Grande Seconde Skelet-One, with a diameter of 41mm, comes in three versions: red gold, white gold and ceramic.